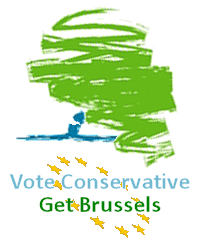 Bloggers4UKIP: Eurosceptic Tories? Don't make me laugh! Eurosceptic Tories? Don't make me laugh! Thursday's Express claims that two Tory cabinet members and a raft of Tory MPs are coming out in opposition to the EU and may even vote for UKIP in the next election. Which is nice but let's just remember that despite the flirting with Farage and carrying the occasional UKIP advert, the Express is still a Tory rag and they will make a story out of nothing to help the Conservatives. The Express is using UKIP to try and force Cameron's hand but it's nothing more than a staring contest. If Cameron blinks first the Express can claim victory and they'll drop UKIP like a hot potato. If Cameron doesn't blink at all (well, cyborgs don't need to blink do they?) then the Express will spin some non-story into a stand against the EU, claim victory and drop UKIP like a hot potato. Let's be very clear about this: there is no rebellion in the Tory Party on the subject of the EU. There is no call from cabinet members to leave the EU. There is no group of Tory MPs calling for their party to negotiate our independence from the EU. Tory MPs will not be voting for UKIP in an election. If Tory MPs were genuinely eurosceptic they wouldn't be voting UKIP in an election, they would be defecting and bringing down the europhile ConDem government. 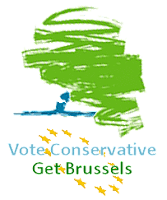 The Conservative Party is pro-EU, a policy that is fully supported by its MPs and MEPs. And what was Downing Street's response to all this? A reaffirmation of the British government's policy of ever closer union whilst trying to reform the unreformable. Leaving the EU is "not the government's policy".